Goodreads: This collection of original stories by today’s finest women writers—including Tracy Chevalier, Francine Prose, Elizabeth McCracken, Tessa Hadley, Audrey Niffenegger, and more—takes inspiration from a line in Charlotte Brontë’s most beloved novel, Jane Eyre. Part of a remarkable family that produced three acclaimed female writers at a time in 19th-century Britain when few women wrote, and fewer were published, Brontë has become a great source of inspiration to writers, especially women, ever since. 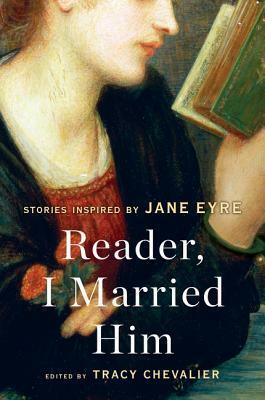 Now in Reader, I Married Him, twenty of today’s most celebrated women authors have spun original stories, using the line from Jane Eyre as a springboard for their own flights of imagination. Kritters Thoughts: A collection of short stories with the prompt - Reader, I Married Him. Each author took that line and went with it! I loved the set up in the beginning with the forward by Tracy Chevalier, she describes what these authors were given and kind of a small glimpse of what the authors did with that prompt, I appreciated that little spoiler. Many of these authors this was my first time reading them and this is one of my favorite parts of reading short story collections. I have a list of authors that I now want to seek out their full works after reading just a small bit of what they can do. In this collection there was only one or two stories that I didn't enjoy and could have skipped over, but this was probably the highest percentage of liking stories out of a collection. It was interesting to see a few authors take on legit Jane Eyre. There were flips on the point of views or "sequels" of sorts and I liked seeing an author take on the original work in a different way. I am glad I had recently read Jane Eyre and was close to the original work and had it fresh on my mind! I have enjoyed reading short story collections here recently and this one just sealed my feelings and I will continue reading them the rest of this year and into next year.